Sometimes you have to enjoy little pleasures in life. 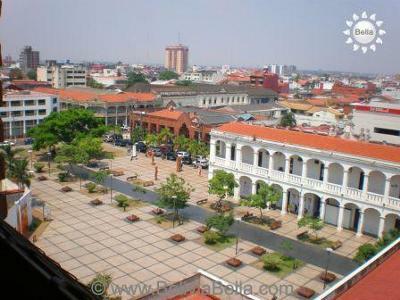 One of mine is to climb the clock tower of the cathedral on the main plaza in Santa Cruz. 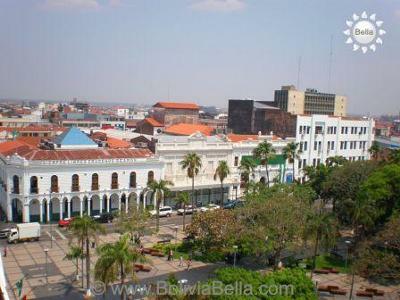 It offers a great overlook of the city, the main plaza (24 de Septiembre) and the secondary plaza (Manzana Uno behind the cathedral) plus you get to watch the antique clock working and clicking. You can see the interior of the large round clock faces and if you time it just right (every quarter hour) you can see how the clock (which is surprisingly small and housed in a box) makes the ancient bells ring (which are attached by cables). They're very loud! There are three levels. The first two levels, inside the tower, have raised platforms where you can get some great photos as you walk around the inside of the square turrets. The third level is the belfry. 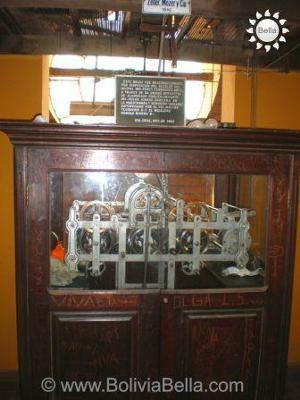 The clock and bells are closed off by a gate, but if you climb to that level, you'll be standing just 2 meters away from the clock and can see all of its inner workings operating. 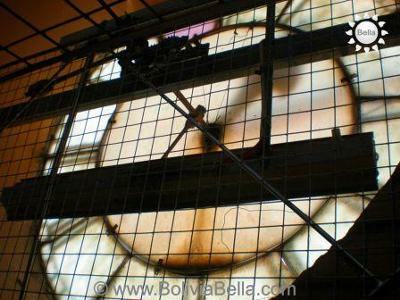 You'll also be standing just beneath and inside the large round clock faces. To the right of the front door of the cathedral is a small door that opens into a little foyer where you can purchase your tickets. It also houses a small souvenir shop (mostly rosaries, postcards, etc.) The cost is Bs. 3 for adults, Bs. 1 for kids over 10, and kids under 10 enter for free. We climbed up the bell tower in Santa Cruz today. What a great recommendation - thanks! Lovely views down to the plaza. And we were standing in front of the bells to see and hear them chime at 4 o'clock.